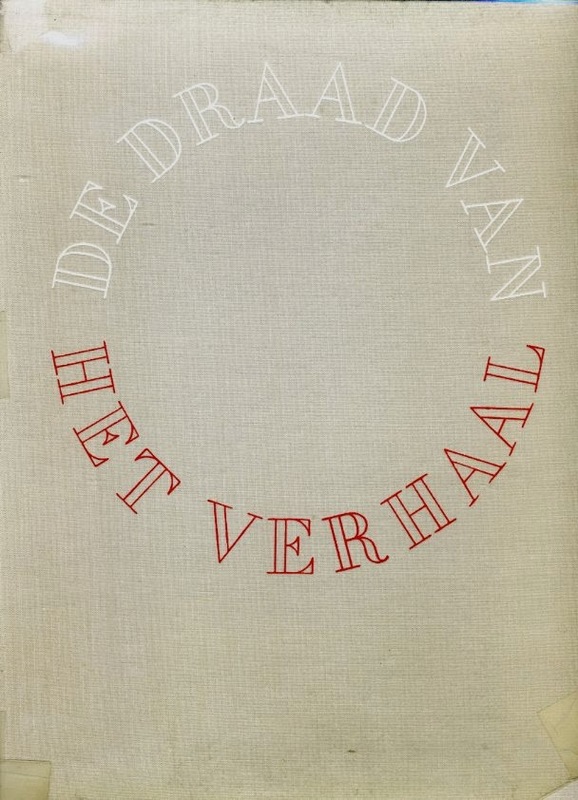 De draad van het verhaal (1960) [Thereby hangs a tale] is typically the kind of company photobook in which parallel to the company profile a visual narrative appears along the theme ‘from the cradle to the grave’. 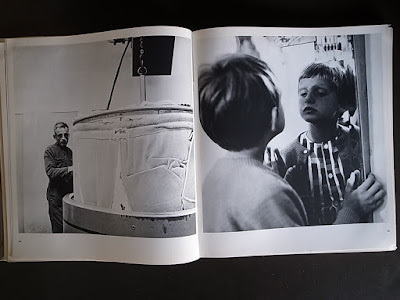 Concepts are intertwined: the industrial reportage running parallel to a broader theme that has a Family of Man-like character is a formula that was used frequently by graphic designer Jurriaan Schrofer (1926-1990) in company photobooks. 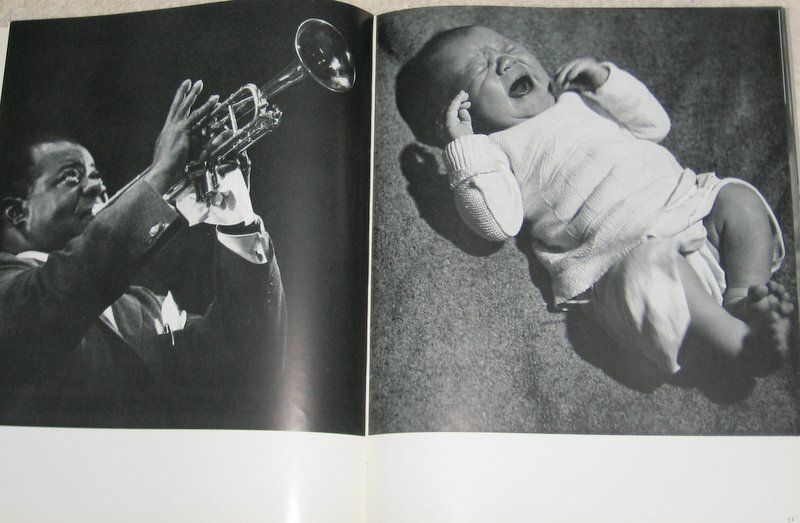 Another remarkable phenomenon is the ‘staccato-style’ in the captions with the photographs, in which aspects of modern life are cited. 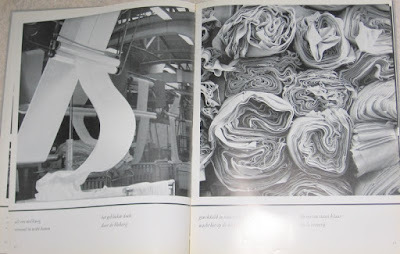 The poet Bert Schierbeek (1918-1996) wrote in white bars below the photographs by Cas Oorthuys (1908-1975): 'The spinners are humming, the white cords gathered, divided and pulled, the fibres stretched ...Oh roll thatcotton ball; a white transparent skin out of a wrapping of clouds.’ The text is set in the Baskerville italic. Photographer Paul Huf Paul Huff: Highlights (English and Dutch Edition) once commented succinctly on his work as follows: 'They get what they ask for, but I deliver damn good work' - the very thing that makes industrial photography books so attractive. 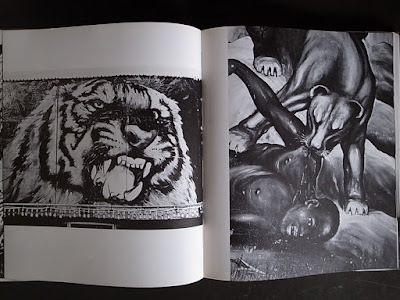 The books show work from a period during which photographers could not make a living as artists/photographers and depended on such prestigious commissions. With this highly professional approach, photographers like Violette Cornelius Violette Cornelius and Ata Kando: Hungarian Refugees 1956 , Cas Oorthuys 75 Jaar Bouwen, Van ambacht tot industrie 1889-1964 , Ed van der Elsken , Ad Windig Het water - Schoonheid van ons land and Paul Huf established their reputations and influenced our present-day impression of workers and entrepreneurs in the postwar Netherlands. Experimental poets and well-known writers also contributed to these books, fifty of which are on show. 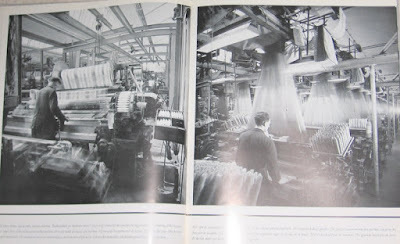 'Het bedrijfsfotoboek 1945-1965. 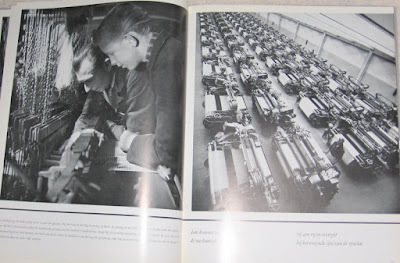 Professionalisering van fotografen in het moderne Nederland' Het Bedrijfsfotoboek 1945-1965 . Opening: 05.09.2014 at 10:15 p.m. The exhibition presents over 50 contemporary dutch photobooks with curator’s introduction. 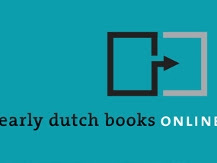 Netherlands is one of the most important countries in the history of printing. 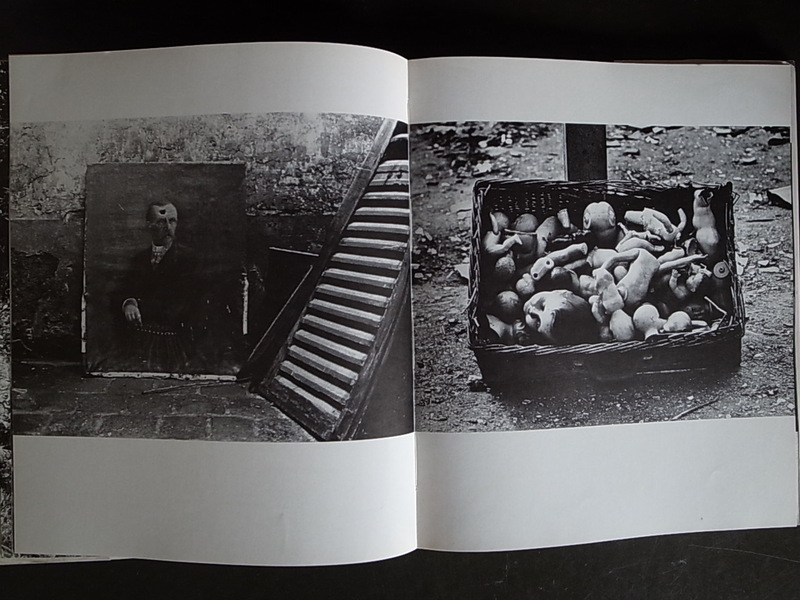 It’s also a country with reach tradition of conceptual and documental photography. The current publishing boom comes from this tradition and it’s based on unique close collaboration between photographers, printers and designers. The exhibition aims to show the different trends and solutions that are characteristic for dutch photobooks. 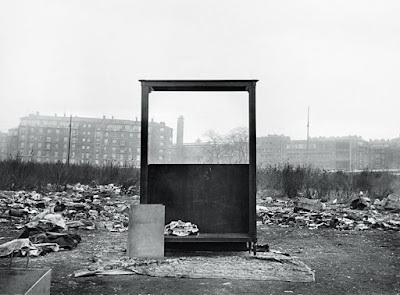 At the same time it’s an subjective choice of the curator who is also an artist working mainly with found photography. 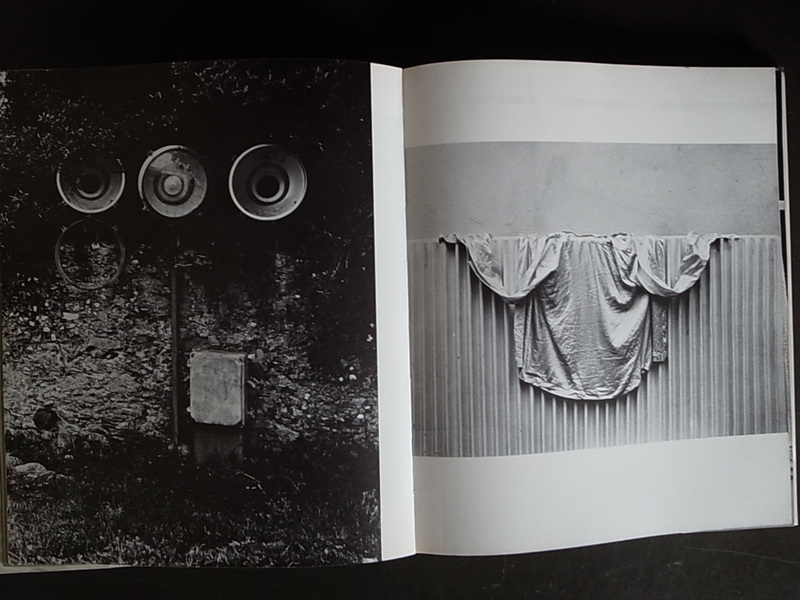 This exhibition focuses on the meaning and significance of photobooks concerning health care environments. Heart-rending, intimate stories on matters of life, sickness, death and personal loss, are observed and experienced by consecutive generations of photographers working in the documentary tradition. Martien Coppens (1908-1986), Koos Breukel (1962), Carel van Hees (1954), Rince de Jong (1970), Roy Villevoye (1960), and Albert van Westing (1960) unveil various aspects of the everyday lives of their friends and family, as well as people in their professional environment who suffer from a severe illness or find themselves facing grim adversity. The photographers record how these people, some of whom are very dear to them, try to deal with their illness or misfortune with a need to hold on to memories of a happier past, and to understand their slow deterioration and the bewilderment that comes with it. There is often a great sense of urgency: the clock is ticking. The world of the loved one, the patient, is turned upside down. Suddenly, life is built around medical care and attempts to find a new sense of meaning and purpose. A new dimension is added to the concept of ‘home’: ‘home’ is no longer a safe and protected place, and consequently the patient no longer experiences it as such. ‘Home’ turns into a health care environment. Simultaneously, a different kind of reality suddenly becomes of vital importance close to home: the care facility. That turns into a new ‘home’ of sorts, in the shape of a transitory location of controlled care and attention. The hospital, the nursing home, the mental institution; they are like hotels – a temporary accommodation, often born out of necessity, sometimes unwanted; a place to meet fellow sufferers. 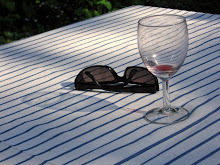 The photographer infringes upon that environment; he/she considers the ‘home away from home’ his/her work environment. 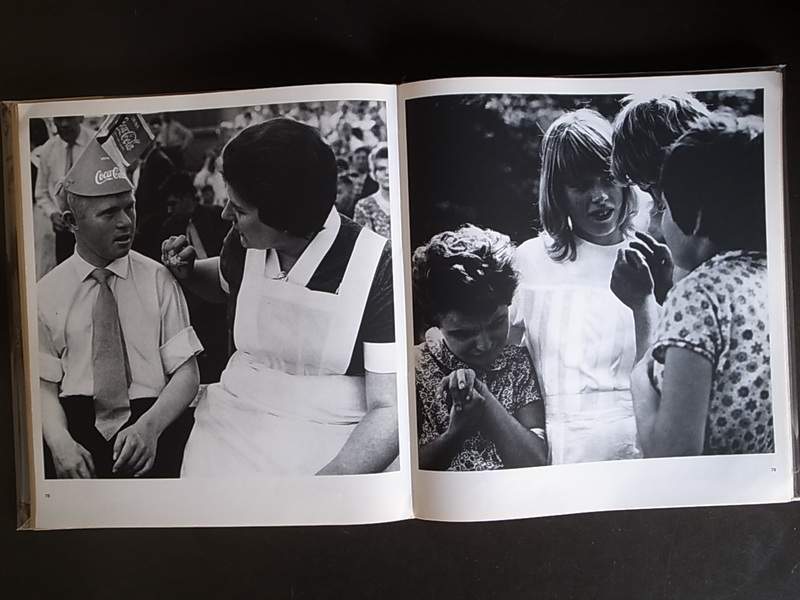 The core of the exhibition is shaped by photobooks published by and on the Dutch public health care. 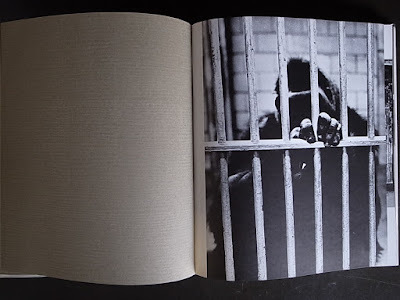 In addition, photobooks on consumer driven health care and loss within one’s domestic circle and circle of friends are put on view, self-published by modern day photographers. Those publications are considered to be an extension of the genre. 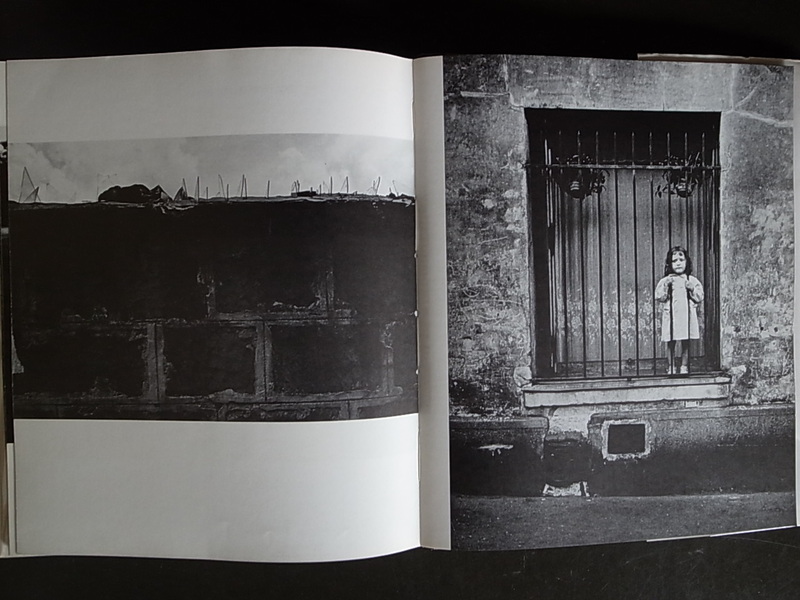 Within the genre, photobooks since post-war reconstruction constitute a category of their own. 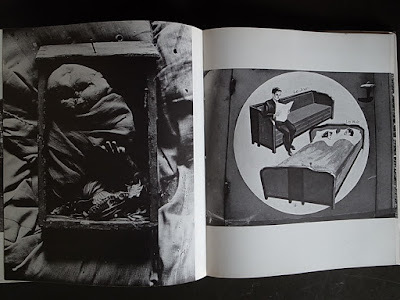 After World War II photographers recorded their fascination of the harsh reality of human suffering in a number of photobooks. Each of the 25 photobooks selected for this exhibition represents a photographer’s strategy regarding the documentation of medical and personal care in public and private space, then and now. 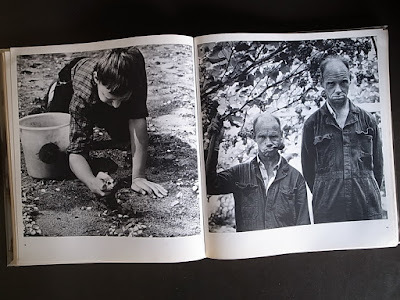 Not only do they show the progression of personal tragedy; they also display the development of care environments in The Netherlands, and the birth of a genre in documentary photography. In this exhibition you will find visual narratives on academic hospitals by the first generation of photographers to work in a tradition of humanist photography and who were members of the Dutch photographer’s guild (GKf). 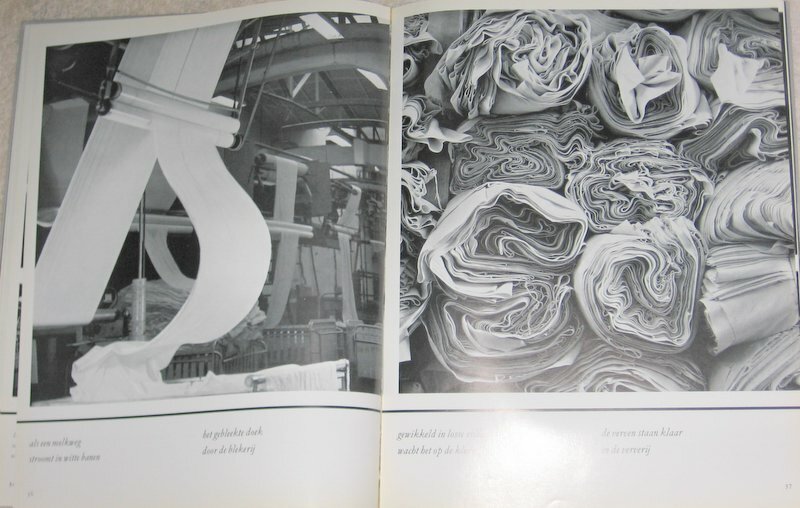 Among them are Eva Besnyö (1910-2003) and Ad Windig (1912-1996). 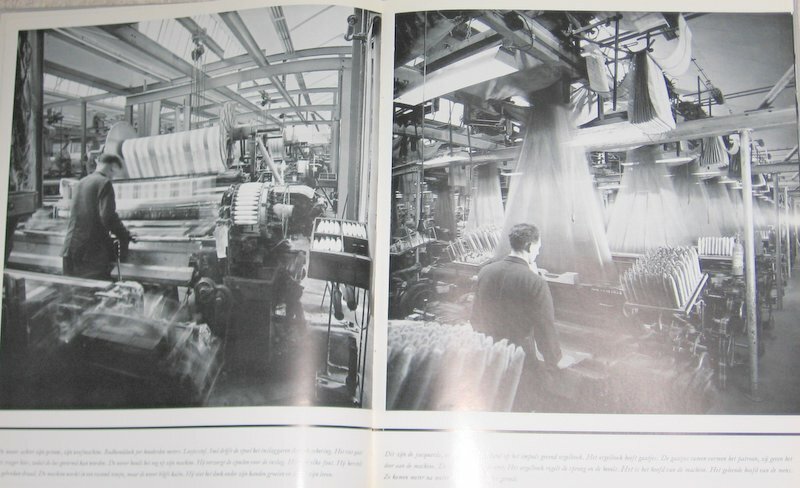 Photobooks that were published after the Second World War are composed around the verb ‘to live’. Moralistic and patronizing in tone they speak of nursing and nurturing in a confined workplace; mental bewilderment and daily care; a ‘day in the life’ of a patient in a care environment that tries to mimic a home life. 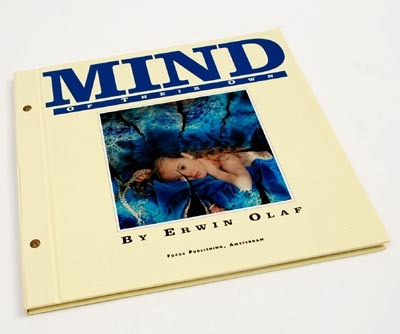 These publications subsequently make way for self-published and digitally produced book projects. The personal involvement reflected in those projects is domestic and local in nature, focused on the photographer’s own environment and family. 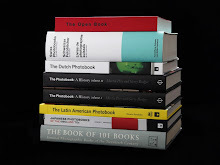 Books on display by contemporary author-photographers like Linda-Maria Birbeck (1974), Annelies Goedhart (1979) and Jaap Scheeren (1979) reveal that approach. Photobooks are selected that were groundbreaking in their day and in the way they depict the socially, often highly sensitive, themes of health care in text and images. 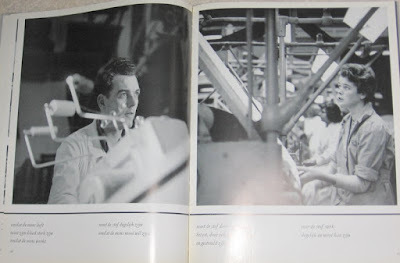 Further, the books stand out for their technical execution, layout and way of photographic storytelling. 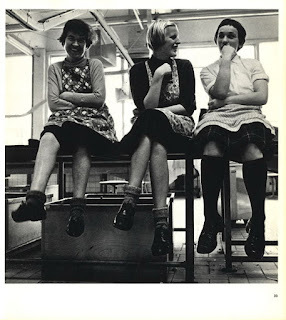 In sum, this exhibition is about commissioners, photographers, graphic designers and graphic industry that have played an important role in the history of photography and graphic design. Fotografie van gehandicapten bevindt zich nog steeds in het stadium van bewondering of esthetisering of liefdevolle nieuwsgierigheid. Een kritische aanpak van beeldvorming van gehandicapten heeft in Nederland nog niet echt plaatsgehad. Dit heeft te maken met een gebrek aan theorie over de werking en functie van het beeld. In Engeland, waar het heel gewoon is dat fotografen zich theoretisch scholen, zijn ze het 'onkritisch stadium' reeds gepasseerd. Daar wordt geëxperimenteerd met woord en beeld in directe samenwerking met de gehandicapten zelf. 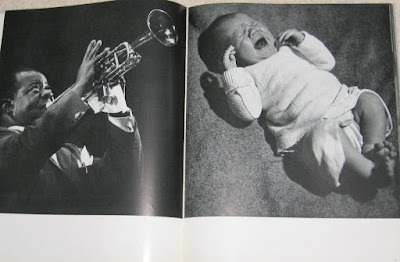 Wanneer je het immense handboek van Naomi Rosenblum A world History of Photography openslaat, zou je bijna concluderen, dat er geen geestelijk gehandicapten bestaan. 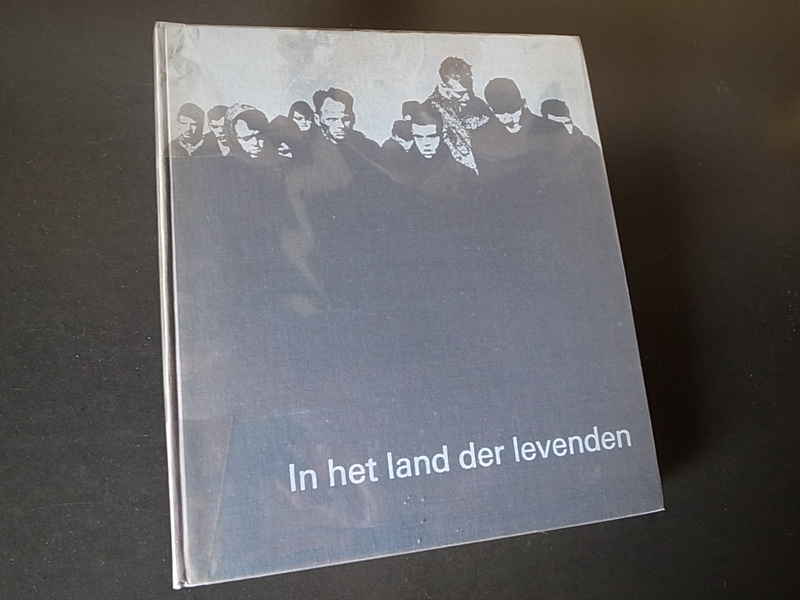 Tussen de meer dan zevenhonderd foto's, die het gezaghebbende naslagwerk over de geschiedenis van de fotografie bevat, kun je amper er twee vinden, waarop gehandicapten staan afgebeeld. Opvallend is dat deze twee foto's al in de eerste jaren na de uitvinding van de fotografie gemaakt blijken te zijn. 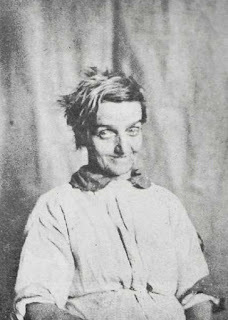 Ze zijn afkomstig van Dr. Hugh Welch Diamond en de caption luidt: 'Inmates of Surrey County Asylum, 1852.' Het zijn vage foto's van anonieme vrouwen tegen een witte doek, rechttoe rechtaan opgenomen. Ze lachten tegen de camera en in hun lach kun je lichtelijk iets obsessiefs zien, iets 'afwijkends'. Dr. Diamond was vooral geïnteresseerd in fotografie als hulpmiddel bij de diagnose en eventueel genezing van zijn patinten, naast het praktische nut voor de administratie. Aan deze schijnbaar simpele portretjes lag een 'fysionomie van de gekte' ten grondslag, een nogal dubieuze theorie van de eugenetica. Volgens deze theorie manifesteerde de slechte genen in de mens zich in lichamelijke afwijkingen. Ook Dr. Diamond hoopte aan de uiterlijke kenmerken de innerlijke staat van zijn zwakzinnige patiënten te kunnen zien. Deze gegevens rondom zijn foto's zijn belangrijk omdat ze veel onthullen over het gebruik van de fotografie. Het analyseren van de context, waarin de fotografie figureert, is een wezenlijk onderdeel van een theorie over beeldvorming. Het begrip van de context als betekenisgever is door de semiologie ontwikkeld. Alhoewel Roland Barthes dit als een van de eersten op de fotografie toepaste, heeft hij zelf geen aanzet gegeven tot een kritisch begrip van het gebruik van fotografie. Zijn analyses zijn doorspekt van een literaire romantiek. 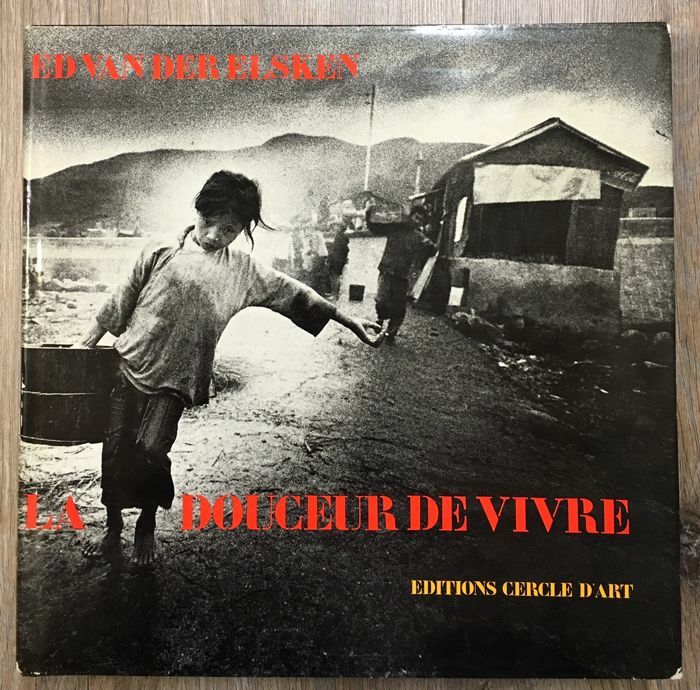 Pas bij de Engelsman Victor Burgin en de Amerikaan Allan Sekula krijgt de semiologie pas de kritische waarde, die het nu kent. In Nederland zijn hun theorieën, zoals verderop zal blijken, nooit echt gemeengoed geworden. 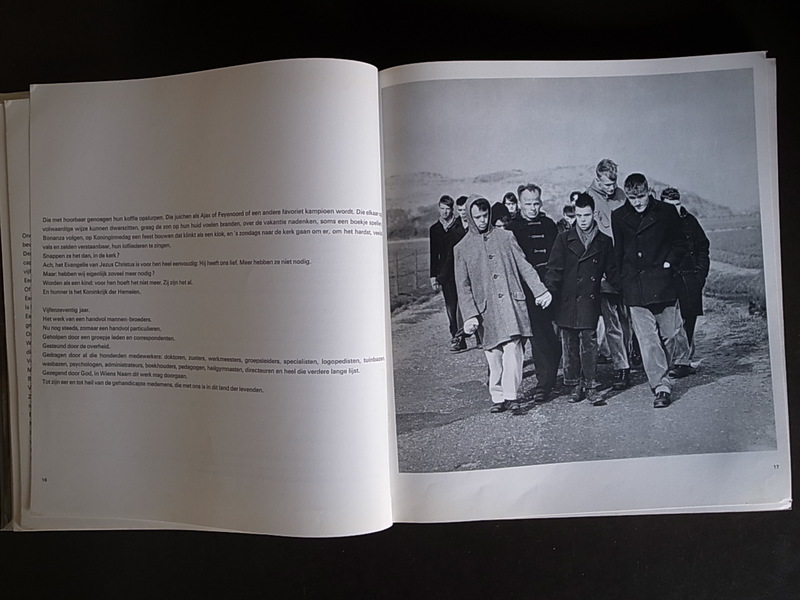 Victor Burgin stelde in zijn boek Thinking Photography dat de betekenis van een foto ontstaat in een netwerk van de omgeving, waarvan de tekst een belangrijke factor is. De betekenis is geen natuurlijk gegeven, die inherent zou zijn aan het beeld, of aan de afgebeelde persoon op de foto. Integendeel, door een proces van constructie door de fotograaf en het medium waarin de foto verschijnt, wordt de betekenis gegenereerd. 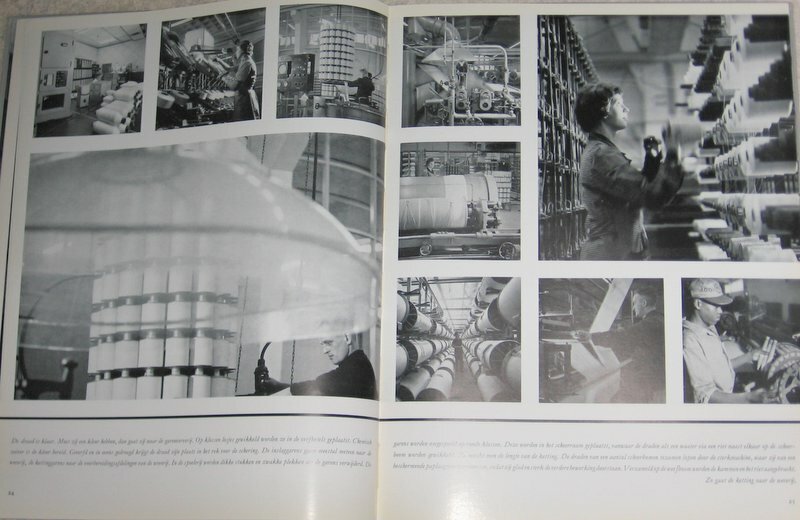 In dit proces van betekenisgeving, kan de fotograaf gebruik maken van een schier oneindig scala aan tekens. Voorbeelden hiervan zijn techniek en vormgeving, maar ook vooral pose en blik van de persoon. De laatste tekens zijn niet onbelangrijk, omdat ook de (gehandicapte) persoon hieraan zou kunnen participeren. De kritische semiologie heeft aangetoond dat de neutraliteit van het fotografisch beeld een mythe is. Het duidelijkst wordt dit zichtbaar in de documentaire fotografie, de tak van fotografie die zich van oudsher het meest heeft toegelegd op de afbeelding van geestelijk en lichamelijk gehandicapten. Documentaire fotografie wordt ook wel sociale fotografie genoemd, omdat de onderwerpen vaak te maken hebben met maatschappelijke problemen, zoals armoede, racisme, etc. Wanneer we kijken naar ethiek in de fotografie, zal blijken dat de sociaal fotografen altijd een grote integriteit aan de dag leggen. Zij fotograferen om het onderwerp zelf, zijn er vaak direct bij betrokken, verdienen vaak weinig en verkopen hun werk het liefst aan sociale tijdschriften. Over integriteit en ethiek valt dus in de documentaire fotografie niet te klagen, zeker niet wanneer het om afbeelding van gehandicapten gaat. Maar 'ethische integriteit' is een begrip, die onderliggende motieven kan verhullen. Die motieven kunnen variëren: 'we moeten laten zien dat de verzorging van gehandicapten goed is' of 'we moeten hun afhankelijkheid in beeld brengen' of 'we moeten hen laten zien als gewone mensen' of 'laten zien dat ze ook gevoelens hebben'. De analyse van deze impliciete motieven zijn interessanter dan morele vragen over beeldvorming, omdat deze vaak onuitgesproken zijn en toch de beeldvorming zeer direct bepalen. Als we spreken over ethiek dan komen we te snel terecht in de discussie of beelden 'toelaatbaar' zijn, terwijl de onderhuidse motieven op een geheel ander vlak manipulatief kunnen zijn. Documentaire fotografie kan dit vaak ongemerkt doen, omdat ze door haar werkwijze een schijnbare neutraliteit heeft: de wereld laten zien zoals die is. Om dit te adstrueren wil ik hier een tweetal documentaire fotoprojecten uit de recente geschiedenis bespreken. Een van de eerste grote voorbeelden van een fotoreportage over geestelijk gehandicapten is het werk van Ad Windig in het boek In het land der levenden uit 1966. Het boek werd gemaakt ter ere van het 75 jarig bestaan van de 'Vereniging tot opvoeding en verpleging van geesteszwakke kinderen'. Het zijn gevoelvolle foto's van hoge kwaliteit. Windig laat op allerlei manieren zien hoe zwakzinnige kinderen worden geholpen met therapieën en bezigheden in verschillende tehuizen. De foto's stralen de eerbied uit voor het zwakbegaafde kind en voor de professionele hulp die het krijgt. 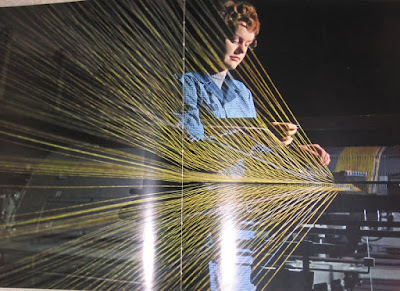 Wanneer we de tekst achterin lezen krijgen we een vermoeden wat het doel van de foto's is: "Opmerkelijk zijn de vele mogelijkheden tot creatief bezig zijn, variërend van het breien van een pannelap voor moeder tot het bouwen van complexe, zij het wat primitieve vliegtuigen." Het boek, hoe integer ook, moet bewijzen hoe goed de hulp is. Wij krijgen nauwelijks informatie over de privégevoelens van de kinderen. Ze lachen vaak, en afgezien van een paar beelden, zijn ze nooit eens boos of huilerig. 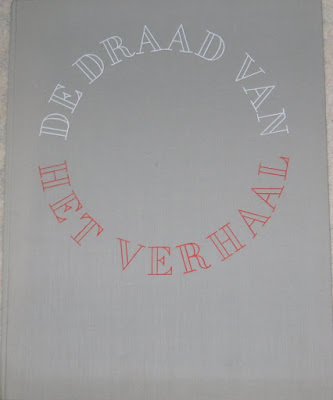 In dit boek wordt een wereld geconstrueerd van de voorbeeldige begeleiding van de tehuizen met hun zwaar christelijke inslag. Is het werk van Windig in opdracht gemaakt, een grote stap naar onafhankelijke waarneming doet Marrie Bot in haar monumentale boekwerk Bezwaard Bestaan uit 1988. Zij fotografeerde gedurende elf jaar met behulp van enkele stipendia in diverse tehuizen. In het voorwoord legt A.J. 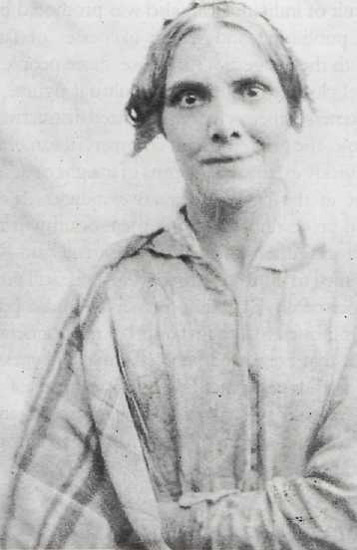 Heerma van Voss uit dat in het verleden zwakzinnigen als afstotend en hulpbehoevend gezien werden, waarna ze weer gebruikt werden als symbool van de tegencultuur in de jaren zeventig. Marrie Bot overstijgt de bewondering en de afwijzing, en, zo zegt de tekst, wordt gedreven door nieuwsgierigheid. Haar technische ruwe en korrelige foto's laten verstandelijk gehandicapten in alle toonaarden zien, waarbij Bot zichzelf minder censureerde dan Windig. Wij krijgen iets meer de mogelijkheid om in het gevoelsleven van de personen op de foto's te kruipen, maar ook bij haar worden we overstelpt door therapieën en handvaardigheidsactiviteiten. 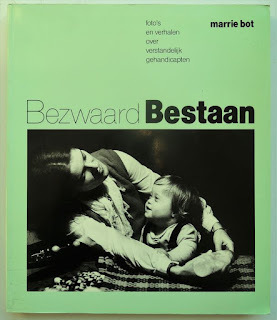 De encyclopedische opbouw van het boek suggereert een wetenschappelijke, objectieve aanpak, maar wat opvalt is dat de vele verhalen gaan over ouders, groepsleiders en orthopedagogen. 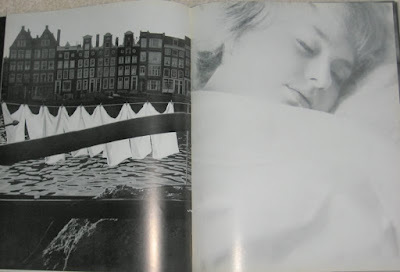 Wat bij deze verhalen met hun vaak té illustratieve (dus met de tekst meelopende) foto's opvalt is dat de identificatie via de hulpverlener verloopt. Bij de sociale werkplaats zien we de gehandicapte en horen we de werkmeester praten:"Wat voor ons als stom werk uitziet kan voor mijn mensen vaak heel ingewikkeld zijn." Alhoewel Marrie Bots werk integer is en met veel liefde gemaakt is, ontkomt ook zij er niet aan een beeld te construeren van de gehandicapte als iemand die vooral veel (ouderlijke en professionele) liefde nodig heeft. De gehandicapte als afhankelijk van instellingen en dagverblijven. Ze worden getoond als outsiders, veilig afgegrendeld van onze moderne maatschappij, en het enige wat we nog lijken te kunnen hebben is nieuwsgierigheid naar deze vreemde mensensoort. We zouden nog meer voorbeelden uit de laatste jaren kunnen aanhalen: Rob Huibers , Jos Lammers , Ine van den Broek en Hapé Smeele . Van vele van deze fotografen zou ik dergelijke dingen kunnen zeggen: eerlijk en integer, maar vanuit een vergelijkende strategie. Wat we wel kunnen concluderen is dat de identificatie met de gehandicapte zelf verbetert. Er wordt niet alleen meer het geluk van de verzorging getoond, maar hier en daar ook onverbloemd angst en pijn. Wat dat betreft, lijken fotografen eerlijker en directer geworden. Maar wat alle bovenstaande voorbeelden kenmerken is het vertrouwen in de kleinbeeld/zwartwit techniek. Deze naturalistische techniek draagt de connotatie met zich mee van de sociale fotografie. 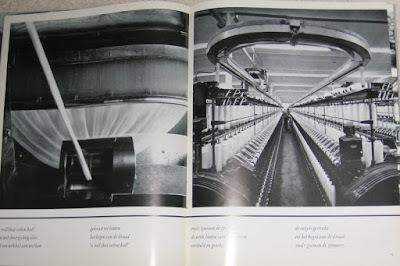 Wij lezen de foto's van uit de traditie van de slachtofferfotografie: wat we zien is erg, maar ontegenzeggelijk waar. 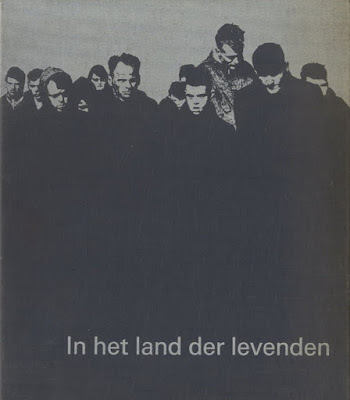 De schijnbare objectiviteit is de grootste adder onder het gras: deze fotografie wordt truthtelling toegedicht, terwijl het onderliggend motief, het collectief schuldgevoel, de blik indirect stuurt. De vele therapieën, die in beeld worden gebracht lijken te duiden op het afkopen van de schuldgevoelens: de verstandelijk gehandicapte is weliswaar geheel afgezonderd, hij wordt in ieder geval goed verzorgd. Iemand die hier geheel mee breekt is Erwin Olaf. Hij komt uit een hele andere fotografische traditie, de geënsceneerde studiofotografie. In zijn boek Mind of their Own zien we de gehandicapte als een ster uit het niets verrijzen. Hij zit daar, ver weg van zijn dagverblijf of zorgverlenende instelling, in een abstracte entourage, goed uitgelicht en keurig verzorgd door een styliste. Het bijzondere van de foto's in Mind of their Own is dat ze radicaal breken met het slachtofferprincipe. Het grauwe zwartwit heeft plaats gemaakt voor (meestal bizarre) kleuren. De korrel van het kleinbeeld is veranderd in de scherpte van het middenformaat met laaggevoelige film. De slechte lichtomstandigheden zijn verruild voor een perfecte uitlichting. Kortom, Erwin Olaf kiest voor een glossy aanpak: hij verlaat het oude schuldgevoel. Hij verandert de gehandicapte van een afhankelijk en naamloos wezen in een individu (ze hebben een naam) met uitstraling. Omdat de foto's zijn opgenomen in de studio, laat de fotograaf duidelijk zien dat de foto's constructies, dus bedacht zijn. 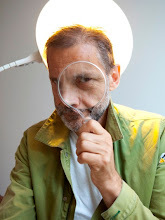 Erwin Olaf dringt hiermee veel meer door in de individualiteit van de persoon. Ook hier helpt de begeleidende tekst de foto's begrijpen. Olaf schrijft: "Zij [Anna Nederhof] drukte mij met mij neus op het feit dat verstandelijk gehandicapten zelfstandige mensen zijn, met een eigen gevoelsleven en een eigen uiterlijke schoonheid." Het is duidelijk dat dit een van zijn doelen is: het laten zien van de eigenheid en waardigheid van de geestelijk gehandicapte mens. Alhoewel zijn werkwijze een taboe in de beeldvorming doorbreekt, kleven er ook een aantal bezwaren aan. Zijn foto's hebben de neiging tot 'freakanisering': het tot freaks maken. 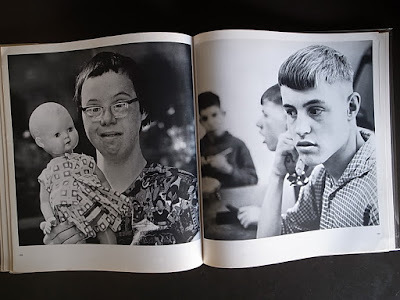 Deze term is refereert aan de Amerikaanse fotografe Diane Arbus, die ook zwakzinnigen fotografeerde en hen schaarde onder de andere freaks uit haar collectie. Hierbij komt een in het oog springend detail, de gescheurde en gebrandmerkte negatieven. Deze 'esthetisering' doet erg denken aan het werk van Peter Joel Witkin, die gehandicapten en monsterachtige types voor zijn lens haalde, uit een satanisch-religieuze obsessie. De mensen waren model voor de fotograaf, geen individuen. Bij Olaf zijn ze meer dan een model, maar de poses en entourage worden bepaald door de cultus van de fotograaf: om onbekende redenen moeten ze er namelijk ontbloot op. 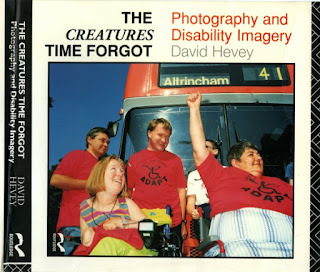 In Engeland heeft David Hevey ook een radicale breuk gemaakt met de traditionele fotografie . 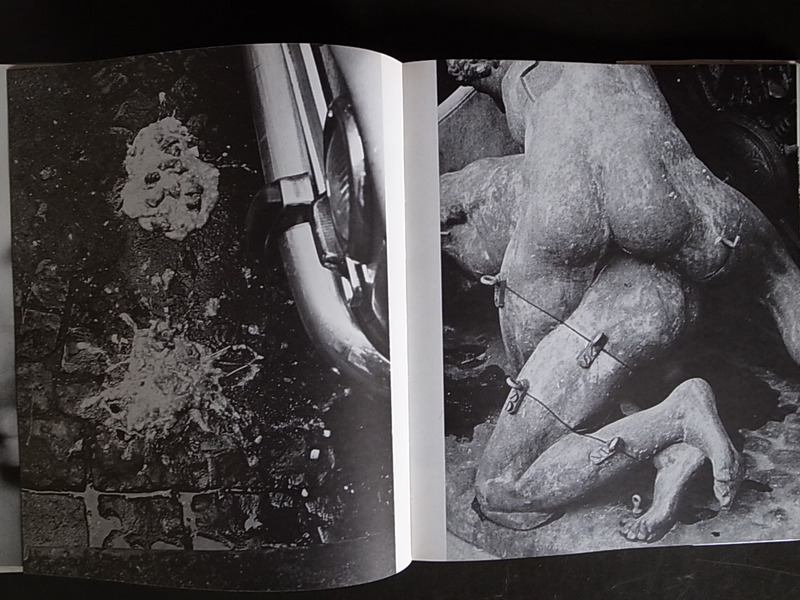 Het verschil met Erwin Olaf is dat Hevey uitgaat van de theorieën van Victor Burgin en zijn fotografie vanuit een kritisch kader presenteert. Hevey, die zelf een epilepticus is, ergerde zich aan de badinerende foto's van geestelijk gehandicapten, die altijd over, maar nooit in samenspraak met hen werden gemaakt. Hij maakte verschillende projecten voor charitatieve instellingen, waarbij hij bewust gebruikt maakt van een 4x5 inch camera. Deze aanpak koos hij vanwege twee voordelen. Ten eerste kon hij met de polaroid achterwand een voortdurende feedback creëren met de gefotografeerden en ten tweede ontstond door de grote scherpte van het 4x5 inch negatiefformaat hetzelfde glossy effect als waarmee beroemde mensen worden afgebeeld. Maar de keuze van 4x5 inch was voor Hevey vooral een politieke keuze: hiermee verliet hij het domein van de reportagefotografie. Voorop stond bij hem de participatie van de gehandicapte zelf, zodat ze mee konden bepalen welk beeld van hen ontstond. Hij refereert hierbij in zijn boek naar Barthes, die de fotografie vergelijkt met theater . De pose is een belangrijk teken, waarover de gehandicapte nu controle heeft. Naast Hevey hebben ook anderen vanuit dezelfde strategie fotowerken gemaakt. Jessica Evans en Andy Golding, bewust van de contextualisering van het beeld door de aangrenzende teksten, maakten de serie Hidden Menace, waar bij teksten een grote rol spelen . Een van de meest komische is de foto waarbij iemand met een Down syndroom een 'normaal' mens onder een meetlat houdt. Daarnaast staat de tekst:"De Wetten van de Afwijking van het Perfecte: OBSERVEER de symptomen van afwijking, LABEL het als abnormaal, WIJS het individu zijn lot toe. N.B. Jij bent der Maat van Alle Dingen." De Engelsen, met hun kritische fotowerken, slagen er beter dan de Nederlandse fotografen in om het schuldgevoel te deconstrueren. Zij werken niet vanuit nieuwsgierigheid of bewondering, maar vanuit een duidelijke keuze om de beeldvorming te veranderen. Zij hebben een krachtige strategie ontwikkeld waarmee de traditie ondubbelzinnig wordt doorbroken. 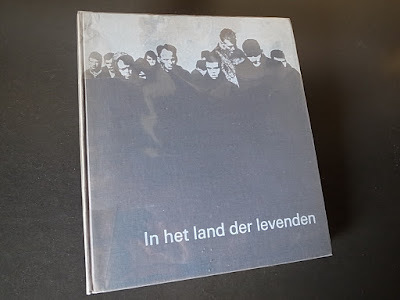 Om met fotografie te kunnen communiceren moet er een proces van identificatie plaatsvinden. Door middel van identificatie vindt er, op verschillende manieren, opinievorming plaats. Bij de documentaire fotografie is er vaak alleen een emotionele identificatie, die stereotype reacties kan oproepen ("ze zijn wel zielig, maar ze worden liefdevol verzorgd"). Bij de glossy (geënsce-neerde) fotografie is er een individuele identificatie, die de neiging heeft om onecht te worden, net zoals filmsterren onecht zijn ("in het echt zijn ze lelijker"). Bij de theoretische fotografie is er een cerebrale identificatie. Door analyse begrijpt men een andere groep mensen. 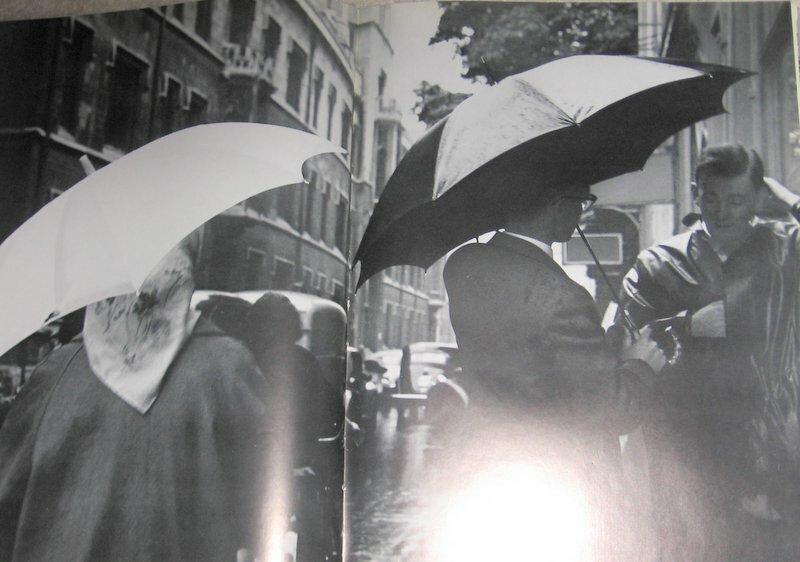 Deze fotografie kan leiden tot een abstracte, afstandelijkheid ("we hebben begrepen dat we ze moeten accepteren zoals ze zijn"). Het lijkt me, dat er een evenwicht nodig is tussen drie basis elementen, die in dit soort fotografie aanwezig zou moeten zijn: de documentair-journalistieke waarde, een communicatieve vorm, en een ethisch-theoretische reflectie. De traditionele documentaire fotografie, met Ad Windig en Marrie Bot als historische voorbeelden, heeft last van inflatie van de vorm, waardoor de ethische aspecten in de knel komen. 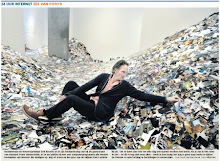 De foto's van Erwin Olaf hebben een krachtige, vernieuwende vorm, maar ontberen een theoretische reflectie over hun impact op de beeldvorming. De Engelse fotografen zijn kritisch-theoretisch, gebruiken combinaties van tekst en beeld, maar ontkennen de journalistieke waarde van de fotografie. Het zou interessant zijn wanneer een nieuwe strategie met de vorm zou experimenten zonder de documentaire waarde te ontkennen. 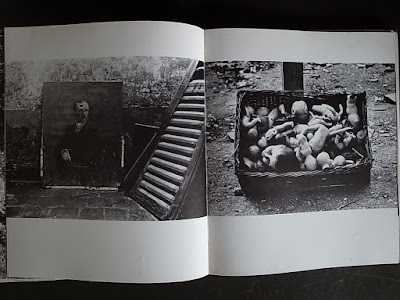 Hiervoor is een theoretische herwaardering van de fotografie nodig, die uitgaat van een bewuste toepassing van tekens binnen de mogelijkheden van de documentaire benadering.
. Naomi Rosenblum/A World History of Photography, Abbeville Press, New York, 1989.
. Zie Rosenblum, p. 77.
. Victor Burgin/Thinking Photography, Macmillan, London, 1984.
. Zie Ad Windig & Jan Filius/In het land der levenden, Utrec¬ht, 1966, p. 124.
. Jos Lammers/Verboden voor onbevoegden, Eindhoven, 1980.
. Gewoon, ik heb een handicap/foto's Ine van den Broek, met brieven van kinderen en jongeren, red. 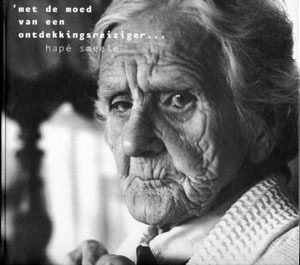 Nelleke van der Drift, Ploegsma, Amsterdam, 1994.
. Hapé Smeele maakte foto's in de Eemerood in Baarn, in het paviljoen "De Linge" van verstandelijk gehandicapten van een laag nivo. Zijn boek hierover komt in 1996 uit.
. zie hiervoor: David Hevey/The Creatures Time Forgot; Photography and Disability Imagery, Routlegde, London, 1992.
. zie Hevey, p. 104. 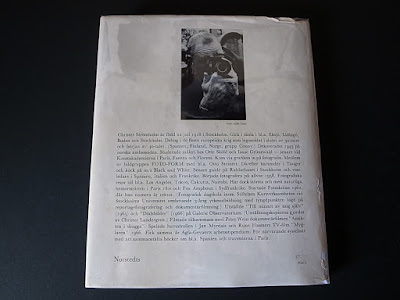 Hij refereert hier naar het boek van Roland Barthes¬ De Lichtende Kamer, Synopsis, 1988.
. Zie: The Iron Cage of Visibility, in : Ten 8, nummer 29, 1988. Poste Restante was the first photobook by legendary Swedish photographer Christer Strömholm. 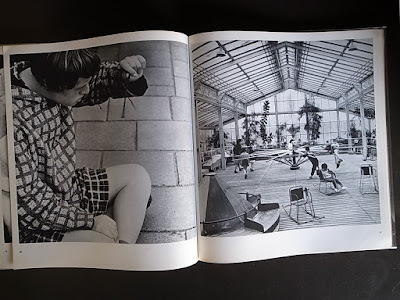 Published in 1967 by Norstedts, the book included 96 images and a series of text fragments and anecdotes based on an interview with the photographer. 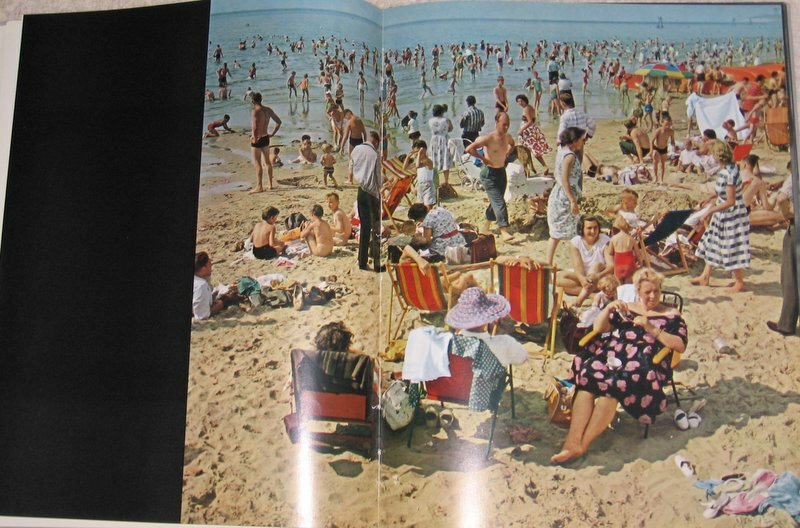 Despite a rocky start with mixed reviews and bad sales, Poste Restante became one of the most collectible photography books from the mid-twentieth century. There’s a very helpful quote on the back of the reissue (finally!) of Christer Strömholm’s 1967 masterpiece, Poste Restante, from a contemporary review in the Swedish evening tabloid Expressen. 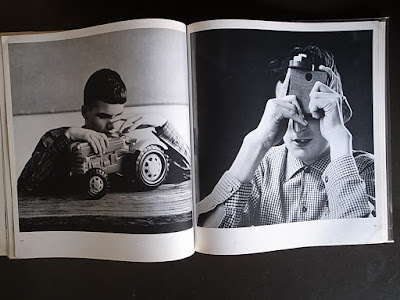 “As far as I know,” the review goes, “this is the first time a book publisher (Norstedts) has dropped all demands that a photobook must have a subject in the ordinary sense—or at least that it must work on a social, documentary, or generally decorative level. Poste Restante is as exclusive and private in its conception as a modern lyrical poetry collection and in its expression, almost as closed and inaccessible…. 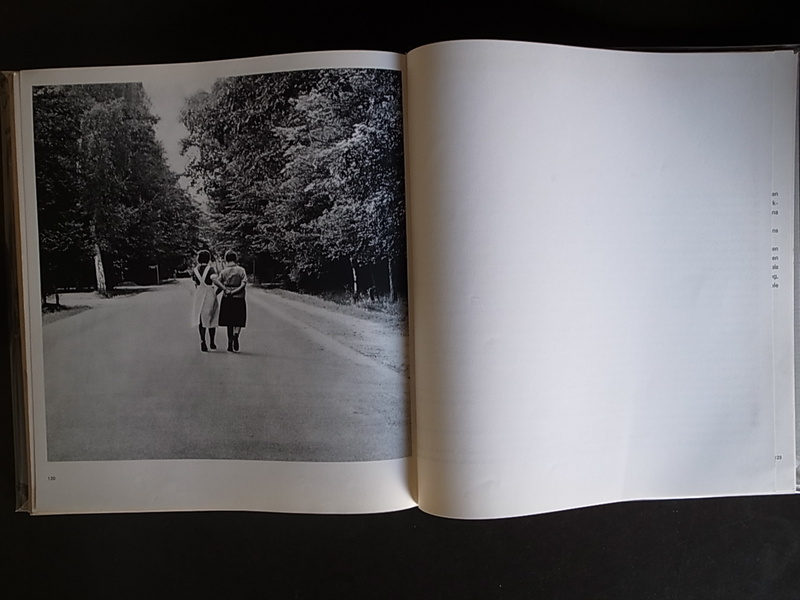 I don’t usually quote other reviews, but I do so here to raise a historical question: Did Strömholm invent the poetic photobook? 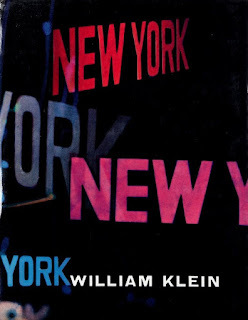 That’s not exactly Expressen’s point, but still an interesting question, leading us to consider such forebears as Man Ray; Germaine Krull and her ode to metal; Moi Ver and his surreal superimpositions; Robert Frank’s breathtaking song of the American highway (Walt Whitman in photos a century later, now singing the radiant jukebox); and even William Klein with his “I also contain multitudes” epic bebop prose poem of New York (and of Moscow and Tokyo). But Expressen does have a point: In Poste Restante, Strömholm works with a far more private language of secret images and not-quite-explicable meanings than photographers before him. That in its way is a first. 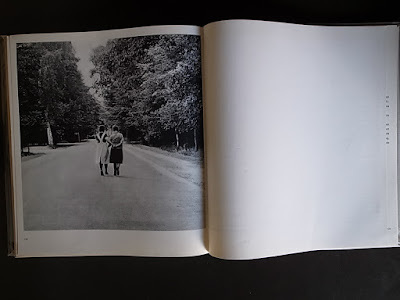 I’ve written in these pages many times about how I look for story in photobooks, story as shorthand for a way of shaping a book, giving it direction, pulse, a rise and fall of emotion; but in essence my deep argument is that the best photobooks constitute a new form of literature. 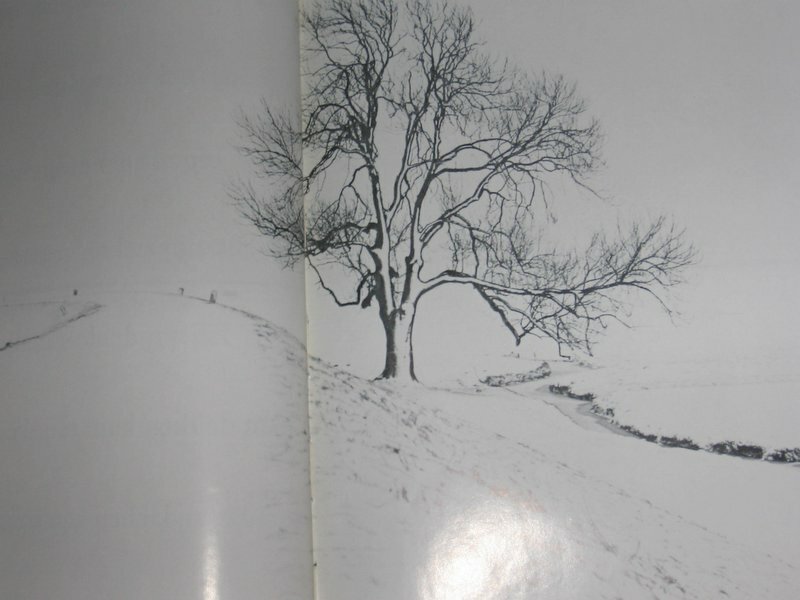 So why not the photobook as a form of poetry book? 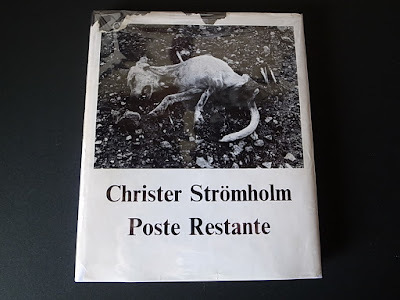 Well, first off, that stark, disturbing cover photo of a dead, rotting dog on harshly pebbled ground. Not the only image in the book of death, of course: there’s the lurid wall drawing of a tiger biting into a terrified man’s shoulder; what looks like an Indian woman in her burial shroud; and a casting of a shrieking head in a box that’s easily the photographic equivalent of Munch’s famous bridge-screamer—perhaps not death itself, but surely an image bearing down hard at us from the Hades Expressway. Poetry thrives on running motifs. 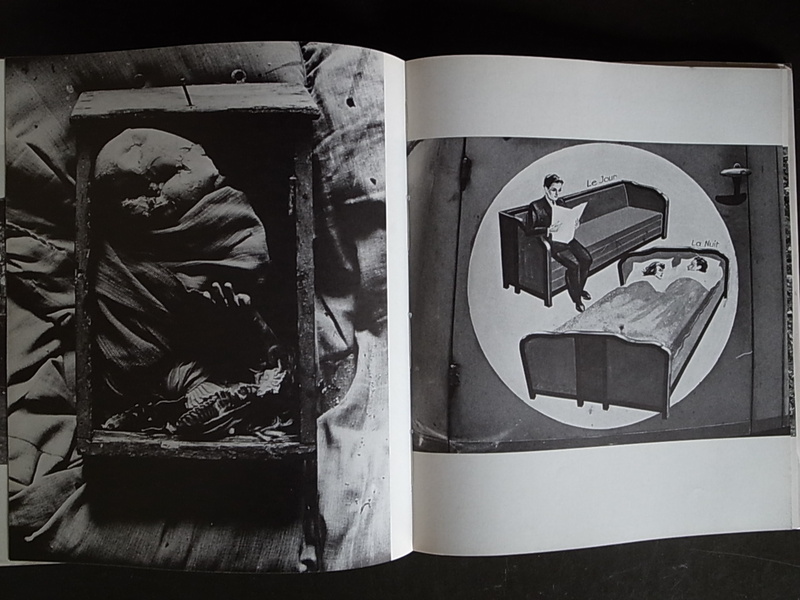 For Strömholm, death is a powerful theme; the magic in found images is another. Indeed, Strömholm loves found images, the crocodile snapping at a she-lizard; a cast-off painting of a mustached burgher, a chip of canvas torn from his forehead; and a lurid drawing of a spotted carnival woman flanked by two bemused apes, this photo flanked by the actual carnie woman in her two-piece swimsuit, the spots liberally strewn over her mostly naked flesh. 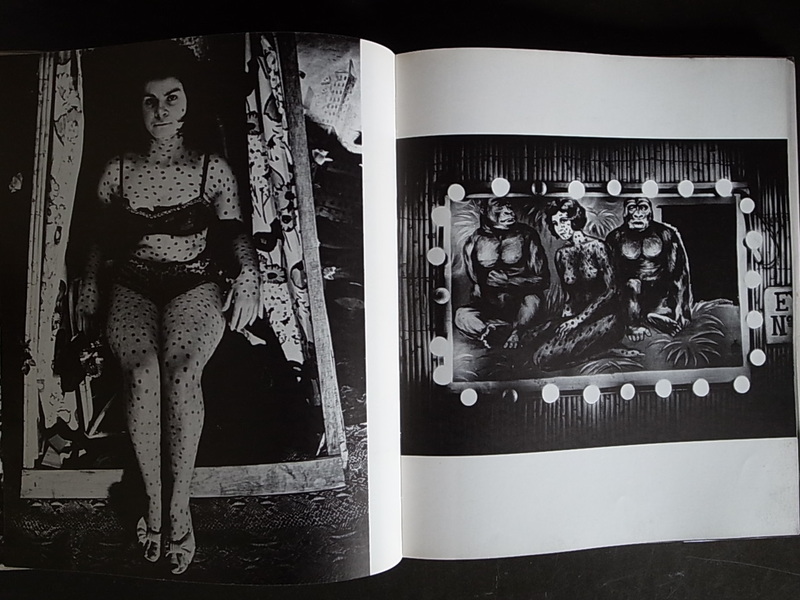 Strömholm also loves carnies, it’s clear; further, he harbors a deep fascination with outré life-styles, too. 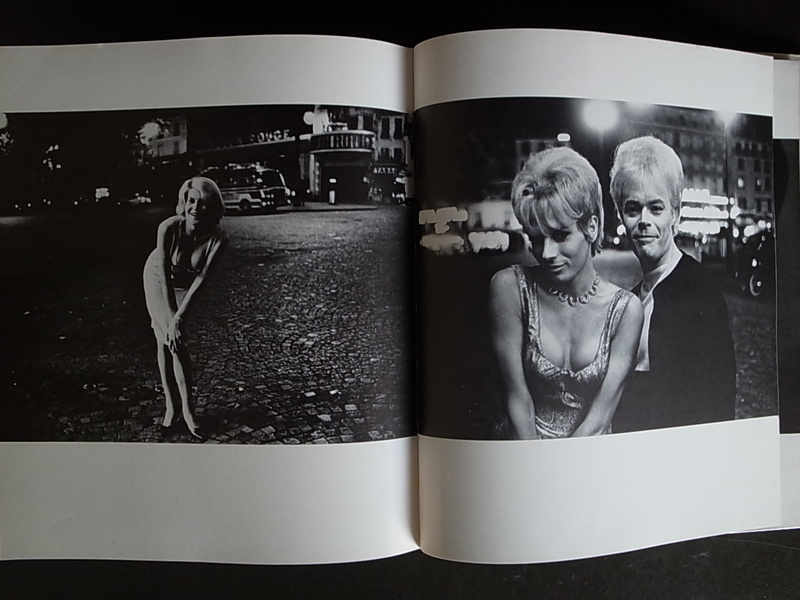 Poste Restante has eight photos from the series that would make up his other great photo book, Les Amies de Place Blanche, his shots of transvestites along the Boulevard Clichy in Paris back in the 1950s (unexpectedly quiet photos, pace Henry Miller), but almost every shot in Poste Restante is curious if not downright strange and unsettling. 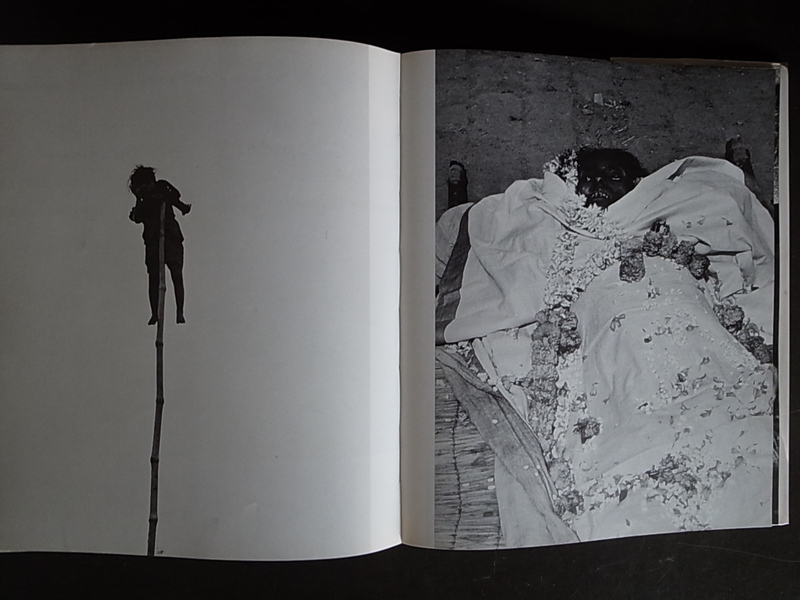 What’s that child doing hanging at least a dozen feet up hoisted on a bamboo stick? Where did the photographer find all those oozy snakes? How about the wicker basket of broken-up doll parts? 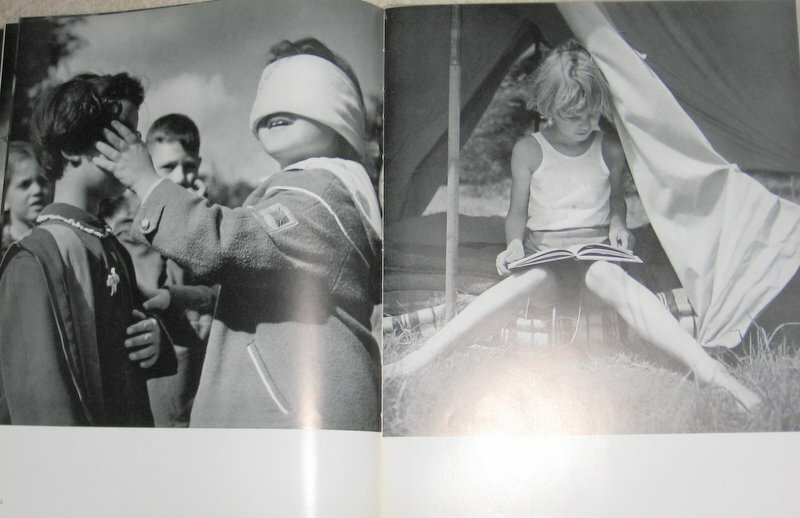 That demented looking blind child that might have given even Diane Arbus the willies? In a way, Poste Restante resembles Ed van der Elsken’s Sweet Life, as it roams the world seeking out the strange and curious, but when put side-by-side, Elsken’s book is more travelogue; Strömholm’s truly is “modern lyrical poetry.” How else as imagistic poetry do we explain why he chose to shoot a Pere Lachaise grave statue of two thick arms reaching out, two huge stone hands clasping? Or a white-cloth-covered motorcycle before an ivy wall? A couple splots of vomit on a brick road? A board full of hanging pocket watches? Two plastic bags carrying goldfish home? The only explanation: All these images spoke to Strömholm. 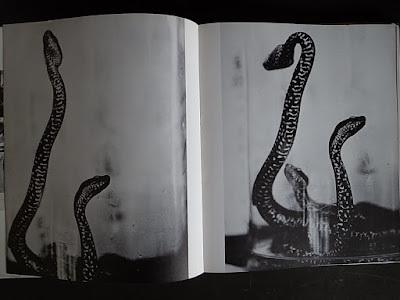 They contained a poetic magic that caught his eye, that only his camera could capture, and that this great photobook—each photo speaking to the next, in discord and harmony, in mystery and heightened consciousness—could bring to life. 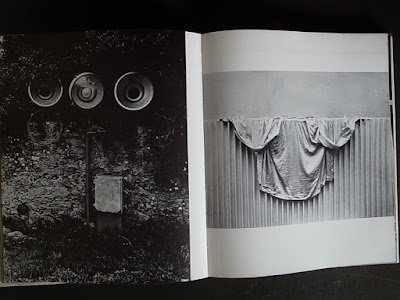 That’s the essence of the poetic photobook: Images powerful and personal, correspondences between shots inexplicable yet telling, the power of a strong, vivid internal vision finding its correlatives in images somehow snapped by one’s camera. 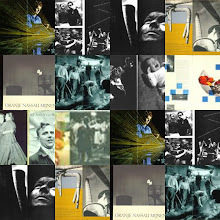 That’s the true secret: Internal mysteries only the artist understands (or intuits) made manifest in photos, not words. In a phrase, This speaks to me, and my poetic soul is so certain and present that what I photograph will speak to you, too. Poets make poetry, meaning that those souls privileged (or damned) enough to see/feel what no one else does can render those transcendent glimpses into words. Poetic photographers, those who see/feel what we can’t, make poetic photobooks. 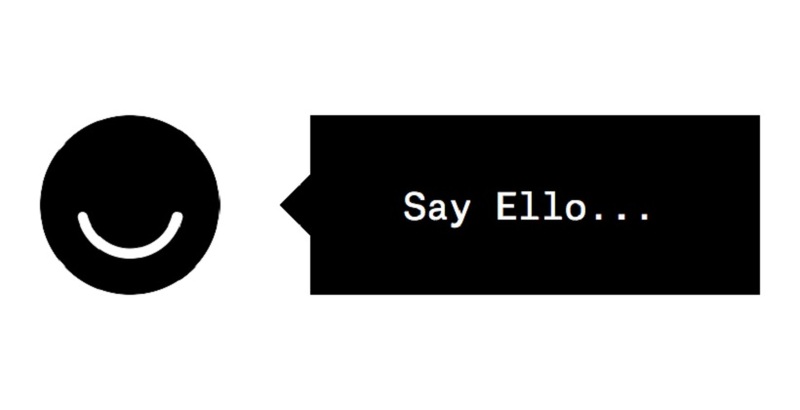 Perhaps as simple as that. New confessions, new stories … add to that new photos, new placings of images, new mysteries, new passions, new visions … and you get Poste Restante. 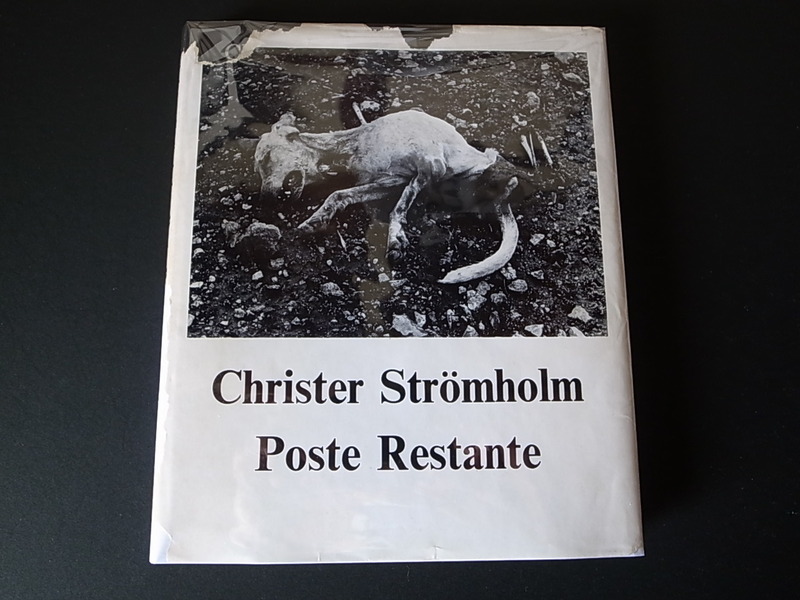 By the way, the title translates as “general delivery,” and as with any great poet, Strömholm’s work can see into the future. 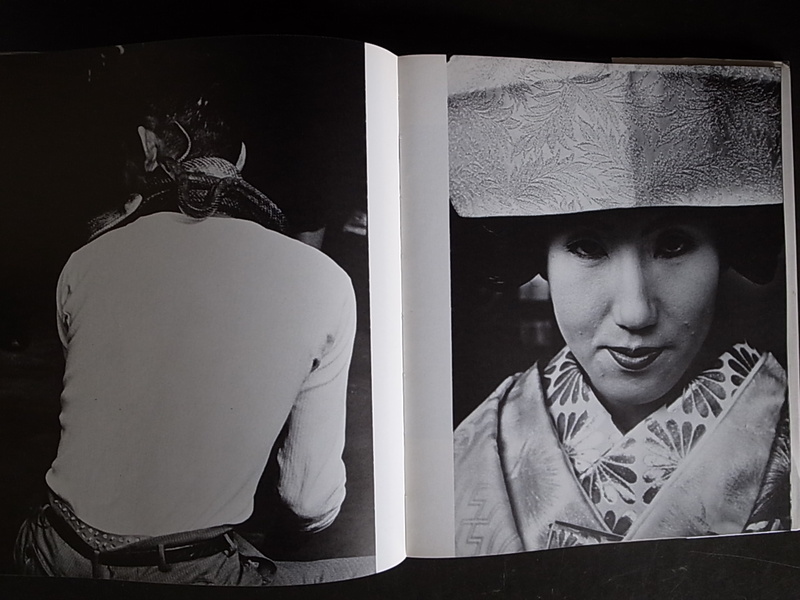 Those world-sweeping images of desirous geishas and pornographic wall scratchings, of snake ladies and Parisian transvestites, are no longer so forbidden, so outré. Indeed, you can probably have all of it turn up in the post with a few clicks on Amazon. General delivery, indeed. 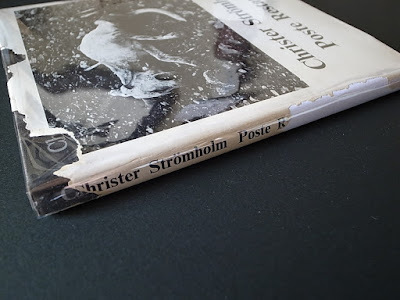 Strömholm: poet, visionary, inspiration for photographers from Arbus to Elsken, from Frederick Sommer to Daido Moriyama, and all-around mysterian, to our great benefit back again in this reissue of his classic work by the Christer Strömholm estate. Simply essential … and ready to inspire other poetic photographers well into time. 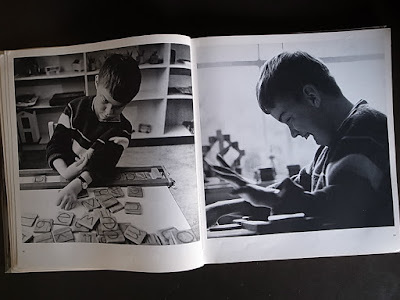 Robert Dunn is a writer, photographer, and teacher. His latest novel is Savage Joy, inspired by his first years in NYC and working at The New Yorker magazine. His photobooks OWS, Angel Parade, and Carnival of Souls are in the permanent collection of the International Center of Photography (more info on Dunn’s own photobooks here; prints of his work can be ordered here). In Spring 2017, Dunn taught a course called “Writing the Photobook” at New School University in New York City.